I have two very different quest of preparing for ICDN1. 1. I am playing with PacketTracer. Why when I connect PC1-R-PC2 I can ping from PC1 to PC2. When I connect PC1-R1-R2, I can't ping from PC1 to R2. I suspect it is because of different conseption, when R is in two different LAN's and where are LAN and WAN connections at second case. Could anybody explain it properly please? 2. 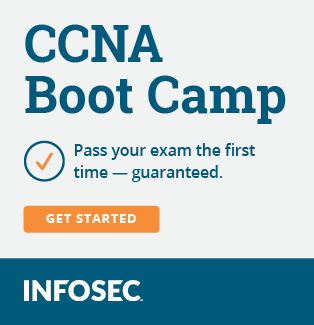 How to register for CISCO exam? I have filled an application online to find a nearest location for taking exam and I need to wait for a calling or e-mail reply. It has gone more than a week and no any info from CISCO. How do you normally register to take an exam. register with Pearson Vue, and login from that link. Your question is very confusing. Ca you post a picture of the network. It should work without RIP. The thing is, if I just swap PC2 with R2, I can't ping R2 from PC1. As I understand, I shouldn't be allowed to ping PC2 as well as R2. It is a bit confusing. Before we get down to the finer points, we all need to know what network addressing you are using between all the links? To register for the exam you can do so via Pearson Vue or Prometic. You go onto one of those websites,find your nearest test centre,book the exam and pay them the money for it. PC2(IP:192.1.2.1, static, DG:192.1.2.2, fa). PC1 can ping PC2. Why? Lets replace PC2 with R2. (interface fa0/0, ip address 192.1.2.1 255.255.255.0, no shutdown)R2. PC1 can't ping R2. It looks correct and I agree with it, because PC1 doesn't know anything after R1 - about network 192.1.2.0. But how it knows about PC2 and his MAC, IP addresses in first case? No any RIP's or Static settings on both routers. Wow my brain just went totally dead.. Both PCs are connected to the same router. If your on R1 and go to the CLI and type in show ip route you see that 192.1.1.0 and 192.1.2.0 are C (connected). Therefore it works fine. Because you add a second router, routing protocols are needed. PC1 can ping 192.1.2.2 because it is connected to it directly as that IP is FA 0/1 on R1. PC1 can't ping R2 because R2 doesn't know about 192.1.1.0 (do the show ip route command from R2). It knows about 192.1.2.0 because it's connected directly, but not 192.1.1.0 and as pings go to the destination and then back (the acknowledgement), R2 needs to know how to get back. You need to advertise each network on each router. Now because R2 learns about 192.1.1.0 the ping will work. This explains why ping works. (interface fa0/0, ip address 192.1.2.1 255.255.255.0, no shutdown)R2. PC1 can't ping R2. R2 has no route to 0.0.0.0/0 or 192.1.1.0/24. It drops the packet. As you can see, the ping actually gets from PC1 to R2 in the second case, the problem is it has no way to return. 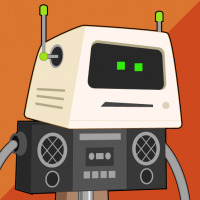 You must either tell R2 how to get to the 192.1.1.0/24 network--via RIP or static routes--or provide it with a default gateway like you would've done for any connected PC. It looks correct and I agree with it, because PC1 doesn't know anything after R1 - about network 192.1.2.0. But how it knows about PC2 and his MAC, IP addresses in first case? PC1 doesn't need to know anything beyond R1, because it's configured with a default gateway. Configuring a default gateway means "Send everything that way!" Close, but routing protocols are not required. A default gateway or static routes are also fine. Close again. In a RIP solution, the only network that must be advertised is 192.1.1.0. Both R1 and R2 already know about 192.1.2.0 and there are no other devices to advertise it to. I sometimes wonder how I passed my incd1! Always forget about static routes and didn't think of DG. Thanks for correcting me anyway. On that note, my body isn't appreciating not having any sleep in 2 days. Time to sleep! Awesome, thumbs up. Thank you very much for quick response. The thing is, when you are just a begginer in networking stuff it arises soooo many various silly questions (why?) while you studying or practising at labs environment. So it is superb when you can come here and get quick responses.